Review of the Braun 760CC Electric Shaver - Is It Worth It? The Braun Series have been getting widely praised by critics and consumers alike for their latest range of electric shavers. They currently have three lines out which they categorize into Series 3, Series 5 and Series 7 – the last of which represents the most advanced premium line. The Braun 7-760cc is one of the most exciting products that has come about from the Series 7 line by Braun. Along with the aforementioned intelligent sonic technology, this electric shaver comes packed with a host of other features. 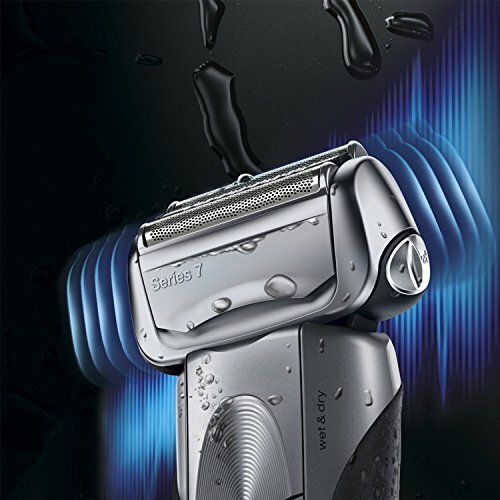 Their Series 7 line features Braun’s unique intelligent sonic technology which they claim allows 10,000 micro vibrations to help capture more hair with every stroke. This advanced technology is also designed to be the most comfortable shave that they have ever created and is designed and constructed in Germany. The electric razor is also great looking and is made of top quality material which really does have the premium feel you expect from a German produced product. The blades will last about a year and then you can buy more braun electric shaver replacement heads for it and it's good as new. Does the 760cc Deliver in Practice? Well the answer to that question is a resounding yes and the Braun Series 7-760cc has proved to be one of the most exciting and innovative products to come out of the German company in a number of years. In practice, the sonic technology works extremely well, capturing any stray hairs and proves most beneficial in those trouble areas. The electric shaver also produces an exceptionally close shave time after time. The Braun series 7 also proves to be an exceptionally comfortable shave to use every day, which again helps avoid irritation issues that can be a problem with cheaper products. Many consumers who are moving on from cheaper electric shavers and product lines mentioned the benefits of not only a close shave, but that their skin had improved due to the lack of agitation. Great news for men with sensitive skin. Is The Braun 760cc Perfect? Its cleaning system is quite loud, which means if you’re living with housemates or scared of waking up your other half, either at night or in the morning, you will have to time when you maintain the electric razor. Not exactly something to worry about though but the cleaning system is a real plus. The general consensus among consumers is that the shave quality of the Braun Series 7 760cc matches its premium price tag. 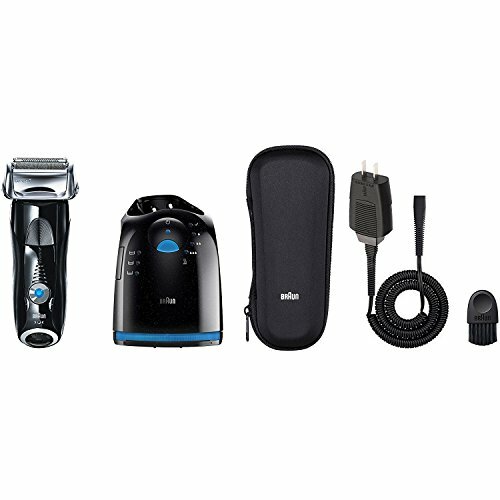 While it takes a certain period time for anybody to adjust to a new electric razor once these teething stages are over the Braun Series 7 760cc produces consistent results and delivers on the hype. I do want to add that very important point here about the 790cc which is the next higher model up and is a best seller on amazon. You might finding yourself wondering what is the difference between the 760cc and 790cc. So, here is the scoop. Difference between the 760 and 790? The 790cc has an option that does a quick clean in 25 seconds, 1 more battery level indicator, extra hygiene status and comes with an extra storage pouch made of leather. The price difference is around $10 dollars. So, for the price of 2 beers you can grab the higher model if you want a few more extras. Again, both of these are awesome so do what works for you. 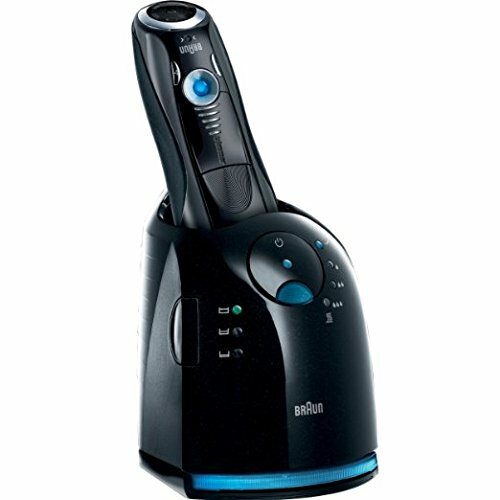 Anybody looking for an exceptional electronic shaver, or anybody looking to upgrade from their current shaver, will do very well to find a better option than the Braun 760cc, which proves it is definitely value for money.